The scriptures show us that the church is ONE in Christ. Netzer Cohorts set this picture as church and ministry leaders come together decidedly as one church in a given geographical location. These Cohorts are where the rubber meets the road for the Netzer community: where we as leaders come not to lead worship, but to be part of worship; not just to care for the flock, but to be the flock. Church leaders need support. When connected, cared for and encouraged, leaders are able to press deeper into their own worship of the Triune God and thereby increase their spiritual capacity to care for their congregations. In order to affectively lead the church we need to first be the church. The church is not first about accomplishing a task, but about becoming an image-bearing people of God. As we gather, we worship the Lord and listen to Him together for one another. We press into each other's lives. We intercede together for the region we have been called to serve. We break bread, being humbly reminded together of our shared covenant and of the sole-sufficiency of the body and blood of Christ for both our lives and ministries. In the cohorts we observe the Lord developing trusting relationships between us, forming a community that serves as a container and dispenser for untold measures of His grace to be poured out to our congregations and to our land. Meets every 2nd and 4th Thursday of the month from 8:30-10:30am. Contact Dave Hakes (pottstown@netzer.org) for location schedule. Multiple times a year, Netzer invites and creates a space for the church at large to gather together with three different emphases. People - Gospel proclamation, inviting people to enter the Kingdom of God, spiritual breakthrough for all who desire it via prayer and teaching. Sign up with your email address to receive monthly communication about prayer and events. In his earthly ministry, Jesus spent more time teaching than anything else. Fundamental change, long-term spiritual warfare, and foundation building happen on a truth level. One of the primary areas of ministry church-leaders engage in is teaching. Church-leaders teach, but, unfortunately, are not often taught. Seminary professor Howard Hendricks once said, "I would rather have my [disciples] drink from a running stream than a stagnant pool." Netzer gives leaders what leaders give out. We offer sound perspective and creative ways of thinking with God about the Scriptures. This includes models for leaders, paradigms for intimate connections with God, foundational kingdom principles, and unique perspectives for navigating traditional theological tensions. We seek to build up and secure the Church in God's Word, helping to develop life-giving reform and longevity that will last past any one experience. The whole idea of the way spiritual life flows to leaders is person to person. Reading books, working through school, and attending conferences can be good, but Biblical and Spirit led mentoring primarily happens today the same as it did two thousand years ago: life-on-life. Leaders need to be poured into not by a screen or a book, but by a person. Netzer serves the Church with a trans-formative approach, where mentoring and education is not strictly based on scholastic structures, but in relationship and discipleship of leaders. Most humans are terrified of conflict. Church leaders are humans, hence most church-leaders are terrified of conflict. But when conflict happens, it generally births change. Conflict is not something to be afraid of, nor created for the sake of creating, but rather, conflict is to be embraced when it shows up. Conflict is not something to be afraid of, nor is it something to be haphazardly created. However, if conflict is appropriately embraced when it arises it can be a significant force for positive spiritual change. Netzer seeks to minister person to person in these places of conflict, listening to God's wisdom from a perspective outside of those directly involved, and discerning what Jesus is trying to communicate through the situation so that the fruit of change will be healthy and not destructive. God has a calling and a purpose for each local congregation in the Body of Christ. It's easy to lose grace filled objectivity when you are so invested into the congregation right in front of you. Similar to the way that marriage can benefit by input from a caring eye looking on, it is helpful to have outside eyes on a congregation to help maintain health and perspective. Netzer comes along side local congregations to bring that outside perspective. 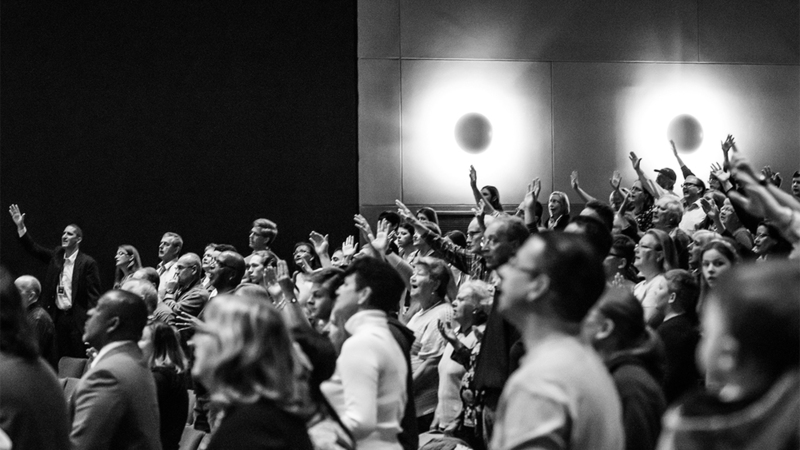 We help identify the unique design and culture within a congregation, in order to equip the saints in the way God has called them to be at their core. Not only do we desire to assist churches in uncovering, recovering, discovering and growing in their unique calling, we also seek to discover how that calling interfaces with the broader kingdom of God in the region. As teaching tends to be long term spiritual warfare, intercession leans toward immediate spiritual warfare. Intercession is when people step into a place of deep prayer support to help break through spiritual battles that churches and leaders often find themselves up against. Netzer provides connection between intercessors and church needs, as well as community and support for those uniquely gifted in intercession. Jesus said that where two or three are gathered in my name, there I am. Many times church meetings ask Jesus to just be a participant in the discussion. We suggest that Christ should be the center of the discussion. He is not another voice at the table, he is the singular voice we ultimately need to follow. Many church gatherings are about decisions, but decisions without spiritual discernment are not worth making. Discernment is not about right or wrong ultimately, but about the wisdom of God in a given situation. Divisions in the church have often happened because we have been content with man's wisdom over God's wisdom. Church leaders need to humbly remove themselves from the center, and ask: What do you say, Lord? We don't want simple, formulaic paradigms. We desire spiritual wisdom rooted in the scriptures and being revealed in real time by the Spirit. Netzer seeks to lend and develop spiritually listening ears as we discern along side of leadership teams.